See Snow-Capped Mountains, Big Skies, and Real-Deal Cowboys on our Montana Vacations. Adventure vacations in Yellowstone National Park and Glacier National Park are why Austin Adventures calls Montana home. We live and breathe the land here in Big Sky Country, and on our Montana vacations, you will too! 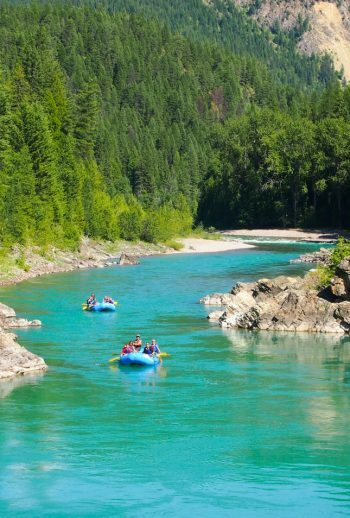 We raft, ride, hike, and bike—activities we know you’ll enjoy on your next adventure vacation in Montana. Montana has 77 named mountain ranges stretching from north to south. Elk and antelope outnumber people two to one, but that’s only part of why people choose to vacation in Montana, where nature holds the winning hand. We have real cowboys, trout-filled rivers, snow-capped mountains, hot springs, mud pots, and geysers. And then, of course, there’s Big Sky and Paradise Valley, the gateways to Yellowstone—the most awe-inspiring 2 million acres on Earth. For us, Montana is home. For visitors, it’s paradise. WHEN IS THE BEST TIME TO VISIT MONTANA? The short answer: right now! To elaborate, Montana offers many exciting sights and activities all throughout the year, perfectly catering to many different interests. From white water rafting in the warmer months to skiing during the winter, there really isn’t a wrong time to visit Montana! You can count on the fact that Montana experiences four distinct seasons, and much of the weather is dependent upon your elevation. Depending on the type of vacation you’re looking for and the activities you’d like to partake in, the best time to visit Montana will differ from one traveler to another. In Montana, it’s common to get snow in the spring. You can expect cool evenings, and a daytime range anywhere from 30-60°F depending on the day. May and June typically see more rainfall than the rest of the year, and you’re sure to encounter snow at higher elevations. These tend to be the most popular months to visit Montana, due to summer and school holidays. You can expect dry, warm weather (average daily temperature around 70°F), with only a few days of clouds and rain. This makes summer an excellent time to visit Montana if you’re looking to raft, bike, hike, and so on. Fall weather in Montana is hard to predict – warm or cold weather are possibilities, as is snow! But, fall in Montana is beautiful and watching the leaves turn is worth the extra cup of hot chocolate if it gets chilly! Snowfall is definitely to be expected during Montana’s winter months, especially in the mountains. Expect colder temperatures, with highs ranging anywhere from 0-40°F. If you’re into snowshoeing or skiing (or a Yellowstone Winter Tour! ), then this is the best time for you to visit Montana. WONDERING WHAT TO PACK ON YOUR MONTANA VACATION? Packing for adventure vacations can be tricky. On the one hand, you want to make sure you’re prepared, but on the other, you don’t want to be toting around more supplies than you need. But fear not – we have you well on your way to being prepared for your Montana vacation. Montana (Yellowstone National Park & Glacier National Park included) experiences distinct seasons – snowy, white winters and warm, sunny summers. The weather in Montana can vary significantly, even in a day – this means that you have to always be equipped with a diverse set of clothing options. The best way to do this is to plan on layers: a base layer, insulating mid-layers, and an additional shell. Learn more about layering for adventure travel. When you book an adventure vacation with us, you’ll know what type of activities your trip will include. Use your itinerary to inform your packing decisions – if you’re cycling, bring padded shorts, if you’re hiking, bring proper hiking boots and wool socks, and so on. Regardless of the amount of activity planned for your Montana vacation, never underestimate the importance of solid footwear. Running sneakers, hiking boots and proper socks (including extras! ), and river shoes or sandals are a staple on almost any adventure vacation. It’s all about comfort here in Big Sky Country. Nothing ruins a vacation experience like painful or irritated skin. We always provide sunscreen, bug spray (though rarely needed) and the proper aid should you get a blister. We do, however, recommend bringing lotion for the dry climate. The dry air can take a toll on skin that is not used to the environment. If there’s room in your bag, it never hurts to have a few additional items to make your adventure that much more enjoyable. These items include a camera, a backpack, binoculars, sunglasses, bathing suit, and a hat and gloves. 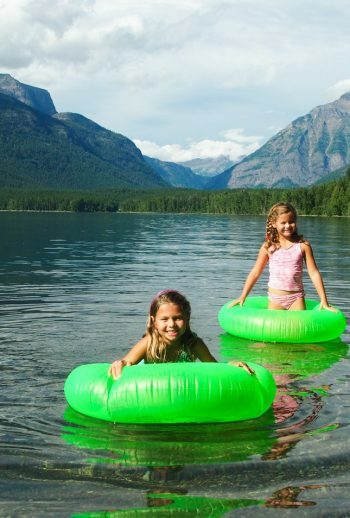 There’s a reason why our Montana adventure vacations are consistently some of our best sellers – not only is Montana a beautiful state ripe for adventure and exploration, but it’s also home to two of the most beloved national parks in the U.S. Regardless of what time of year you choose to explore the wonders of Montana and the national parks, keep these travel tips in mind to ensure you have the best vacation possible! Montana (and especially the national parks) is a vibrant ecosystem home to many different species, ranging from bison to bears. Always keep your distance and never attempt to feed any animals. Known as Big Sky Country, the Montana skyline is just breathtaking. Be sure to take a few minutes out of your hiking, biking, and exploring to stand still and gaze up at the sky above. You won’t regret it, especially at night. 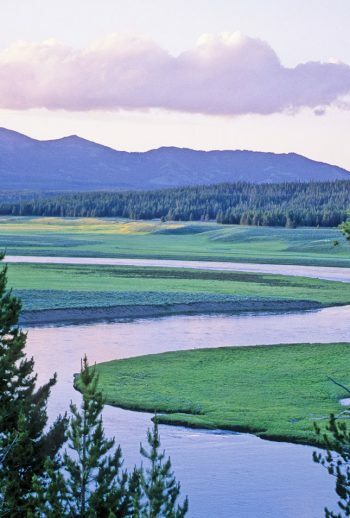 There’s so much to do in Montana and in both national parks. 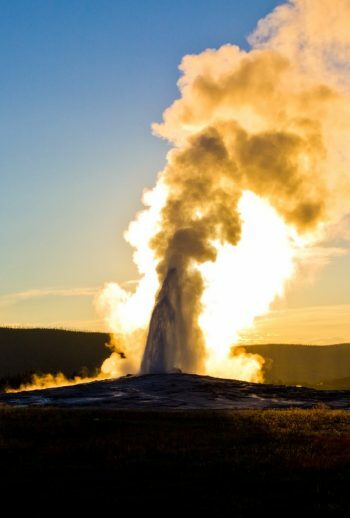 So much, in fact, that we have three separate itineraries that explore Yellowstone alone! Deciding which activities or sights are the highest priorities for you can help you choose your vacation. Montana offers incredible adventure opportunities outside of our itineraries, and whether you’re exploring Yellowstone or Glacier National Park, our Adventure Travel Consultants would be happy to help you add on a day or two of activities.